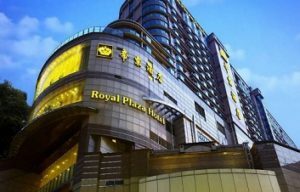 Royal Plaza Hotel (7322 reviews, 8.6) is a 5-star property at the top of the Mong Kok East MTR Station. The hotel has an entrance to the MOKO shopping mall. 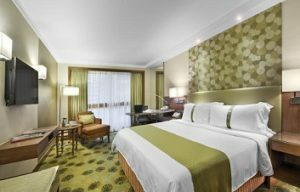 Hotel facilities include a free shuttle to Tsim Sha Tsui and Kowloon Station and a large outdoor pool. 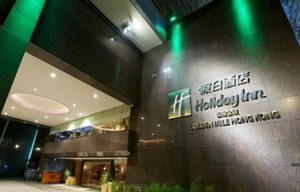 Holiday Inn Golden Mile (5467 reviews, 8.2) is a large hotel in the city centre of Kowloon. 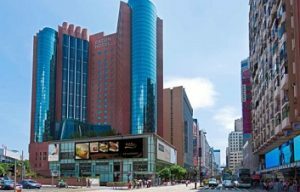 It’s a 5-minute walk to the Star Ferry terminal. Many restaurants and malls are around the hotel. Closeby is the metro station. 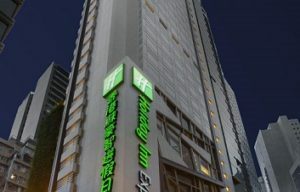 Four star Eaton Hotel (4235 reviews, 8.2) is located on Nathan Road in the heart of Yau Ma Tei. To Jordan MTR Station is 5 minutes walking. Nearby is Temple Street. 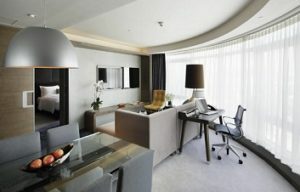 Hotel facilities include a rooftop swimming pool and fitness centre. 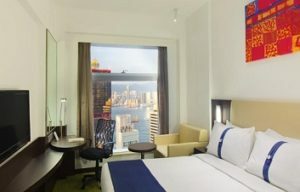 Holiday Inn Express Hong Kong Soho (3540 reviews, 8.3) is in the Central District. 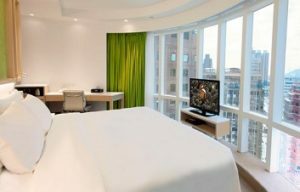 Nearby is the Soho district with its multicultural nightlife. Hong Kong is one of the main cities in China with 7 million people. It’s located on the coast facing the South China Sea. It is part of China since 1997 but it has kept a high degree of autonomy. Hong Kong International Airport is located on an artificial island. Distance to the city centre is about 40 km. With the Airport Express train it takes 24 minutes to Central District.